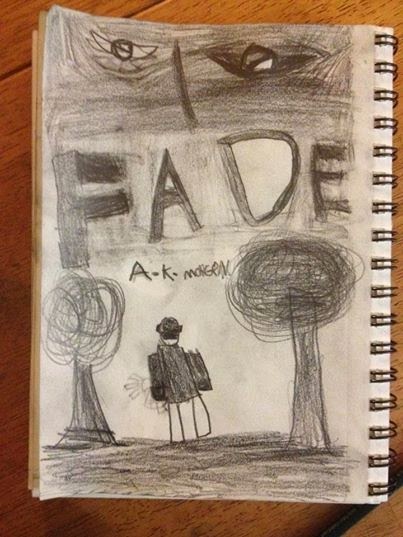 Author Ayden K. Morgen: Write drunk, edit sober... plot drugged? I caught the stomach plague early this week, and it is been clinging for all it's worth. I dehydrated fast, so on Wednesday afternoon, SS dragged me to the doctor for fluids and drugs. I don't like to take medication that makes me sleep because it tends to give me horrific nightmares, but actual sleep wasn't exactly happening without them (and let's face it... even nightmares are preferable to violent projectile vomiting every time you move, right? Right.) so I've been taking them religiously. Yesterday, when the projectile vomiting had more or less stopped, I decided to drag myself to work for a few hours before the boss sent out a search party. I sat at my desk and did absolutely nothing but pray for a time wrap Googled the name of the creature he gave me (or gave to Samara in my dream... whatever). How strange that it actually exists! In mythology, people. It exists in mythology. Not in the real world. Because that'd be too much crazy. Of course, I probably read about said creature in all of my mythology research and just don't remember it in my current state. But I've decided this can only mean one thing: I absolutely must write this story! I mean, something good damn well better come out of vomiting so much I can't move without every muscle in my body throbbing in protest. I refuse to believe the Universe is cruel enough to inflict such misery without including a silver lining somewhere. After realizing the creature actually exists (in the myths), I decided I'd better start jotting notes before the drugs wore off and I forgot what the hell I needed to remember. In between bouts of sleep today, I've managed to plot the whole story out.... which is admittedly not hard to do when you've just watched it play out from start to finish about fifteen times in a row. But whatever. This is destiny, dammit! Jesus. I need to win the lottery. I don't have enough hours in the day to write and work and keep the house from turning into an actual Zoo. Maybe this one will be my NaNo project for the year. P.S. : Don't forget to sign up for the Ragnarok Prophesies Review Tour!